I love a good muddy buddy recipe. A delectable treat that is perfect for dessert or just a sweet snack after school. Muddy buddies are sometimes referred to as puppy chow but I will always think of them as muddy buddies! 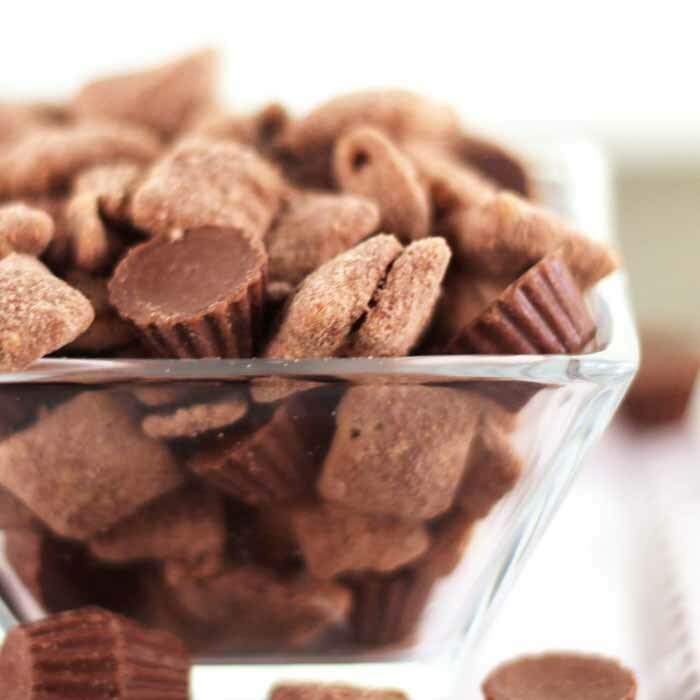 Who is ready to add some Reese’s peanut butter cups to an already delicious recipe? I know I am! Place 1/2 cup of Betty Crocker Fudge Brownie Mix in a gallon zip top bag and add 1 tablespoon of sugar. Mix well. Remove peanut butter coated Chex cereal from bowl and put into bag with brownie mix and sugar. Seal the bag and shake well. Cover all of the cereal. Line a baking tray with wax paper, pour the muddy buddies onto the tray evenly. 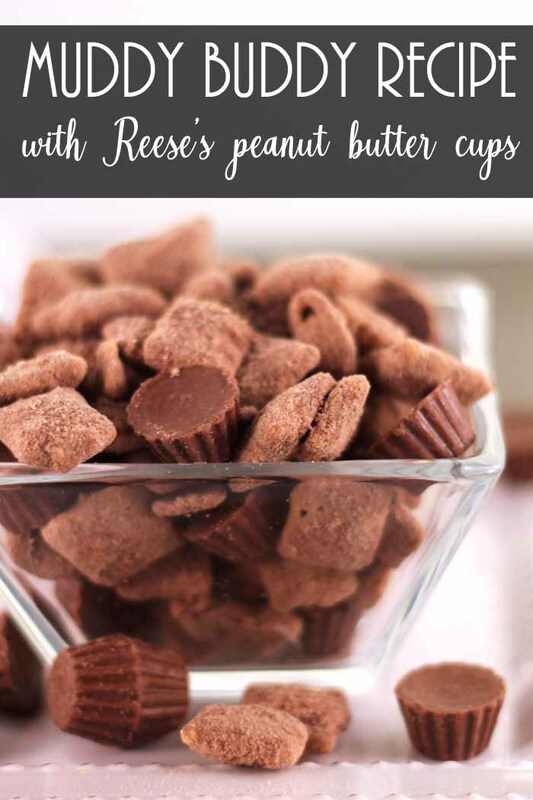 Allow the muddy buddies to dry completely then add in some Reese’s Peanut Butter Minis if desired. NOTE: Be sure to store in an airtight container. Recipe makes approximately 8 half cup servings. All that is left is to dive into a bowl of this fun treat! Chocolate and peanut butter never tasted so darn good together! This is one muddy buddy recipe that you will want to try tonight. Love this muddy buddy recipe and want more? Try the links below! Want to print this muddy buddy recipe? Try the recipe card below! 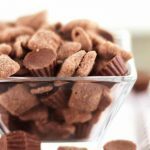 Remove peanut butter coated Chex cereal from bowl and put into bag with brownie mix and sugar. Seal the bag and shake well. All the cereal needs to be covered. Allow the muddy buddies to dry completely then add in some Reese's Peanut Butter Minis if desired. That sure does sound yummy! Pinned. 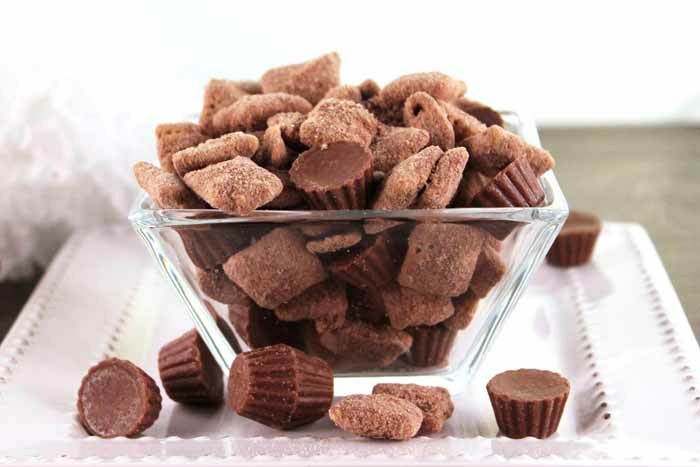 We do love muddy buddies and reeses sound like the perfect addition. Thank you for sharing at Friday Favorites Linky Party. This is a yummy Muddy Buddy recipe that we will love ! Thanks so much for sharing with us at Full Plate Thursday, we sure enjoyed your post!